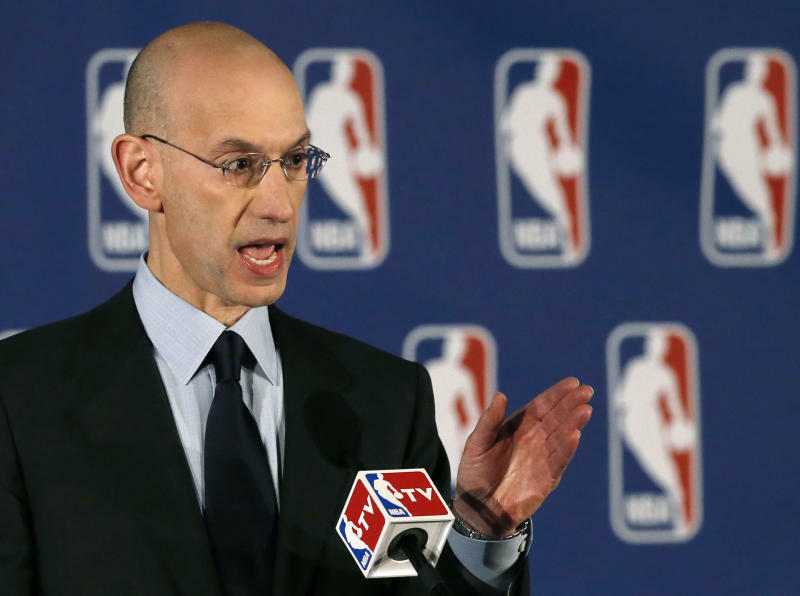 LOS ANGELES (AP) — While Donald Sterling's lifetime ban from the Los Angeles Clippers was greeted with widespread acclaim Tuesday, NBA Commissioner Adam Silver's decision raised a host of new questions for the owner's long-troubled franchise. The Clippers took the court for Game 5 of their first-round playoff series with the Golden State Warriors on Tuesday night in an arena nearly free of visible advertising, but full of roaring fans. Many of the Clippers' sponsors ended or re-evaluated their relationship with the team in the wake of Sterling's incendiary racial remarks. It's too soon to know whether Silver's sweeping ruling will return those sponsors to the Clippers and the NBA, but the Clippers' long-suffering fans in attendance appeared to lose little faith in their players. "My message to the Clippers fans is this league is far bigger than any one owner, any one coach, any one player," Silver said. "This institution has been around for a long time, and it will stand for a long time, and I have complete confidence in Doc Rivers, in the basketball management of that club, and the players deserve their support. They've just been through an incredibly difficult incident in their lives." The Clippers' top executives are unlikely to be shuffled in the short term, particularly while the team is still involved in the NBA postseason. Team President Andy Roeser has been a loyal Sterling employee for many years, while Rivers also has a say in personnel decisions. After the news of Sterling's comments broke last weekend, Rivers clearly questioned whether he would stay with the team that pried him away from the Boston Celtics a year ago with a lucrative contract. The championship-winning coach said he still hadn't made up his mind before Game 5. In the first few hours after Silver's landmark decision, the Clippers didn't know whether Sterling's wife, Rochelle, would be eligible to take a leadership role with the team in Donald Sterling's absence. Donald Sterling wasn't a micromanaging owner, but the 80-year-old real-estate mogul still presided over the team's major decisions, including the hiring and firing of innumerable executives and coaches in the past three decades. "There have been no decisions about other members of the Sterling family," Silver said. "This ruling applies specifically to Donald Sterling and Donald Sterling's conduct only." That language likely means Rochelle Sterling, who has been estranged from Donald Sterling for many years, is still welcome for now at the Clippers' games at Staples Center and their state-of-the-art $60 million training complex built in Playa Vista in 2008. The NBA hasn't yet specified or determined what her long-term future with the Clippers might be. Rochelle Sterling has played a nebulous role in running the team in the past, and it's conceivable she could be allowed to assume a figurehead position in Donald Sterling's absence before the sale of the team, which could drag on for months and years if Donald Sterling is determined to fight. Despite years of separation, the Sterlings co-own many items in their vast wealth portfolio under California's community property laws. Despite the urgency of the potential move, Sterling seems almost certain to get the highest sale price in history for an NBA franchise if he is indeed forced to sell — something he is famously loathe to do with any of his possessions, particularly in his real-estate empire. Even after decades of incompetence under Sterling's watch, the Clippers are a successful team located in glamorous Los Angeles — and they're about to get much more valuable. That's because the Clippers' television contract with Fox Sports is up after the 2015-16 season, and they're the only franchise in the nation's second-largest media market that will be up for bid soon. 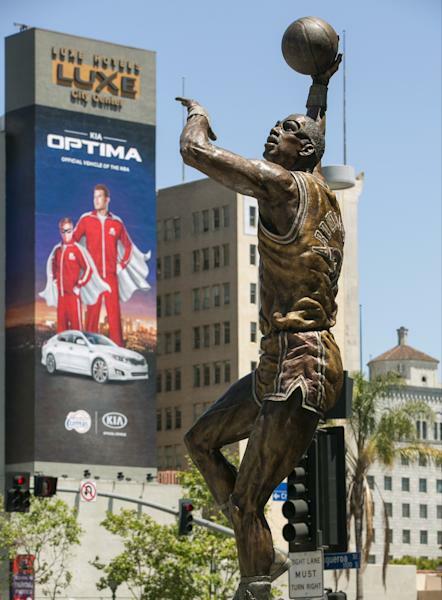 Fox needs to keep the Clippers after losing the Lakers and the Dodgers to those teams' own Time Warner Cable-backed networks, but both of those new networks seem likely to bid on the Clippers' rights as well. 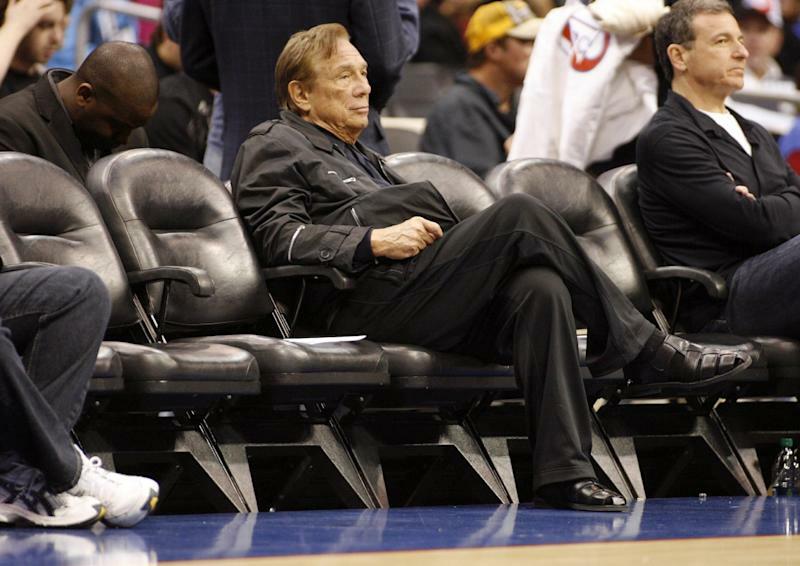 If the Clippers go on sale, the potential buyers would include several of the world's wealthiest men. Magic Johnson, Mark Walter and their Guggenheim Partners group in the billion-dollar purchase of the Los Angeles Dodgers are possible bidders for the team. Billionaire music mogul David Geffen and real-estate tycoon Rick Caruso both have already indicated interest. Patrick Soon-Shiong, the biotech billionaire often described as the richest man in Los Angeles, bought Johnson's share of the Lakers in 2010, but could be interested in owning his own team. Oracle CEO Larry Ellison has attempted to purchase several sports teams in recent years, but been rebuffed despite his vast fortune. Perhaps the buyer could come from elsewhere, too: Boxer Floyd Mayweather Jr. and music mogul Sean Combs both claimed interest in buying the team Tuesday. Financial interest in professional sports franchises is at an unprecedented high. The small-market Milwaukee Bucks attracted nine bidders before selling for $550 million to finance executives Marc Lasry and Wesley Edens.